​Cafe Athens is Northern Colorado’s casual, yet classy, Greek restaurant. 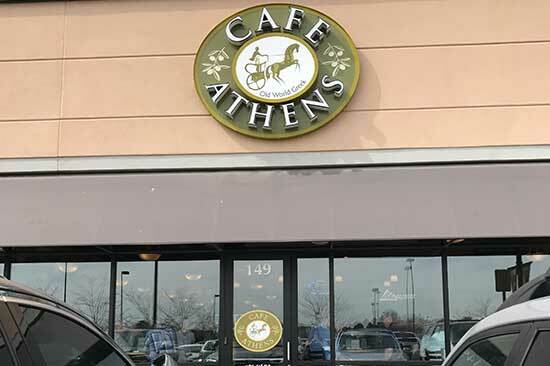 With two convenient locations (Front Range Shopping Center & the Promenade Shops at Centerra), Cafe Athens provides Fort Collins and Loveland residents with a delicious mix of American, Greek, and Mediterranean cuisine. 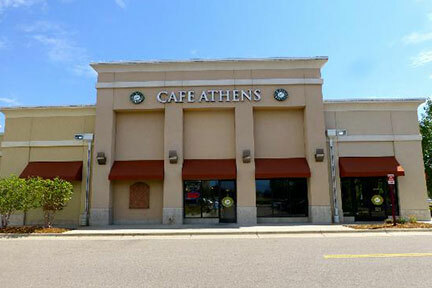 Cafe Athens is open seven days a week for lunch and dinner and serves a variety traditional Greek dishes like mousaka, souvlaki, falafel, dolmathes, baklava, gyros (a local favorite), and Greek-style salads and pizza. For those unfamiliar with Greek cuisine or unsure of what to try, Cafe Athens offers a Combo Platter in addition to their other platters of broiled lean gyros meat, baked chicken, eggplant, spinach pie, and more. Cafe Athens can offer diners a wide variety of domestic beers, fine imported bottled beer, and wine by the glass.